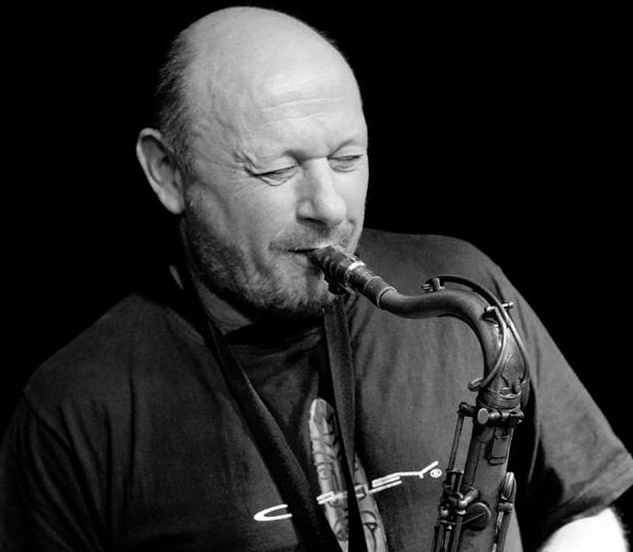 Richie Buckley, a self-taught saxophone player, is internationally recognised as one of Ireland’s leading jazz performers. Musicians with whom he has collaborated include Van Morrison, Freddie Hubbard, Dave McKenna, Harry Allen, Lew Soloff, Guy Barker, Jiggs Wigham, Bob Dylan, Georgie Fame, Jon Hendricks, Carlos Santana, Barry Manilow, and Elvis Costello. Recording credits include Van Morrison, James Williams, Barry Manilow, Riverdance, Lord of the Dance and Elmer Bernstein. He has also recorded and performed with major Irish artists including The Cranberries, Christy Moore, Sharon Shannon, Sinead O’Connor, Paul Brady and Bill Whelan. His critically acclaimed album ‘Your Love is Here’, featuring his own compositions and guest artists Lew Soloff and the Robin Aspland Trio, was recorded in September 2000. Richie has scored three documentary films – ‘Luke’ (Luke Kelly, directed by Sinead O’Brien), ‘Friel’ (Brian Friel), ‘Lee Marvin’ (directed by John Boorman) and the film ‘The General’ (directed by John Boorman).